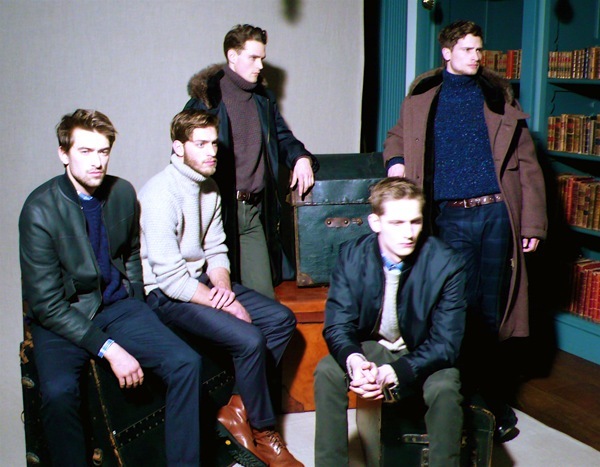 alfred dunhill yesterday presented their fall winter 2011 collection at their gorgeous georgian mansion, bourdon house. aptly titled "home", dunhill brought the show back from paris where they had been showing for the past few seasons. 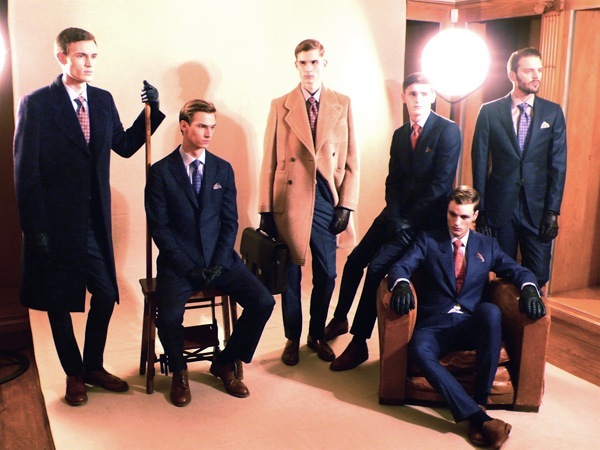 and what a way to kick off the london menswear calendar. i was absolutely thrilled to be able to attend the presentation and see the pieces up close and personal. the collection is divided into four themes: culture, provenance, discovery and elegance. my personal favourite is the above "culture" series, designed as elegant everyday wear, sophisticated enough to take us through from work to play. absolutely love the camel colored double breasted alpaca wool overcoat, it is nothing short of stunning. in fact, it's my favourite piece from the entire collection. i almost wanted to step forward and give that model a hug, just to feel how soft that fabric must be. love the beautiful collar with elegant deco style scooped lining. and i could so see myself going to work in that ensemble. i am 90% sold, i think i will get it (begins baked beans diet). 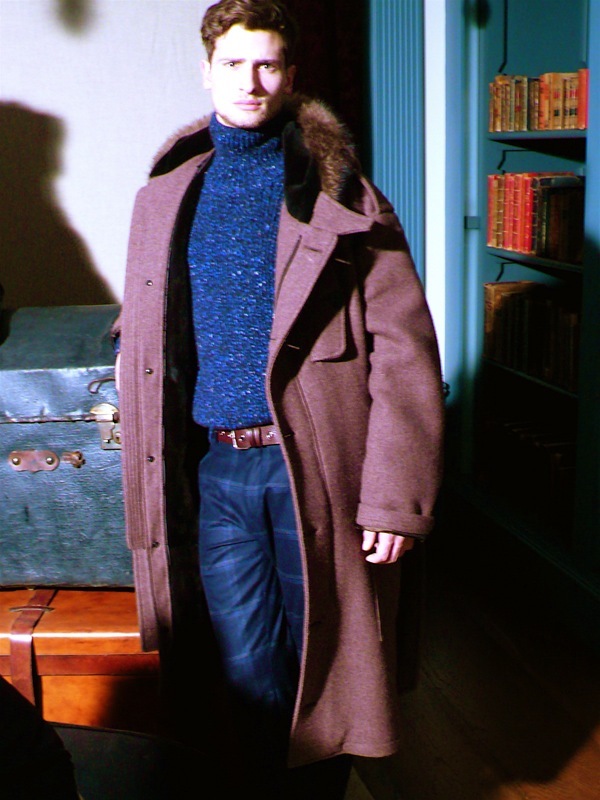 also part of the "culture" series is this beautiful shearling collared overcoat. very lush. i couldn't take pictures of "elegance" as it was set within the private members' lounge at bourdon house (which is so elegant i could lounge there all day), but that collection featured sharply tailored but effortless looking evening wear. oh, charlie france was lounging 00o00h so impossibly cool in there. another series which i love is "discovery". designed to keep us looking impeccable whilst warm and dry. 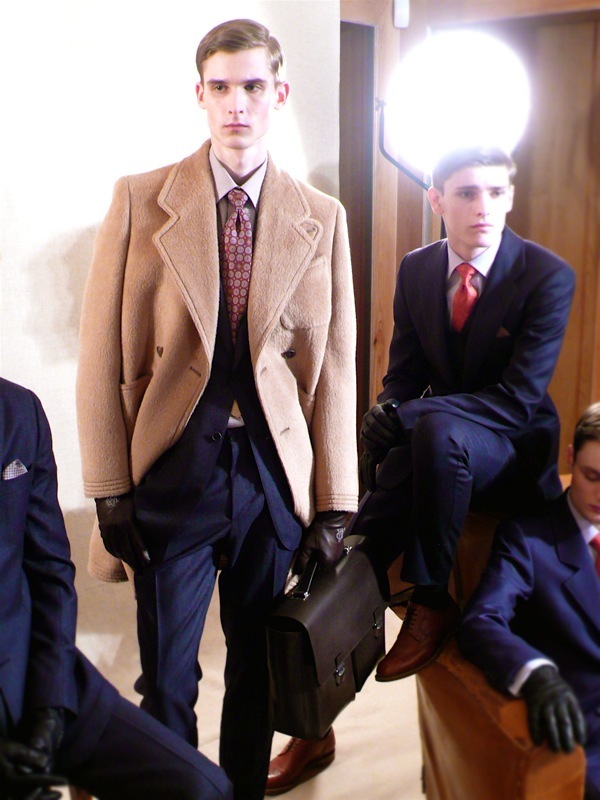 i personally think outerwear is very strong at dunhill this season. there's a sense of adventure, and the dunhill explorer is looking impossibly chic. besides the camel colored alpaca coat above, my next favourite is the below arctic parka with beaver fur lining, simply regal. my pictures probably did not do the collection much justice. 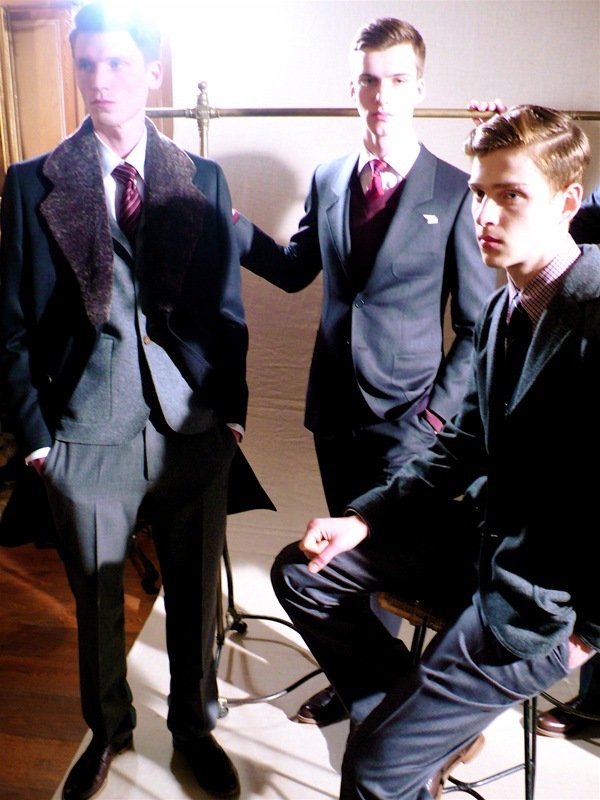 i saw the gorgeous lookbook / studio shots featuring one of my favourite models george barnett. i'll try to post some of the pics if i can find them. i really enjoyed the presentation, it was much better than a runway show, and each piece really deserved their own airtime. and i agree it's a right move to show the collection in london, it's quintessentially english and strong collection this is, there's just too many menswear shows in paris vying for attention. I love the leather varsity jacket.